Perched high on the emerald green slopes of Kathmandu Valley, on 12 acres of forested land within the Shivapuri Wildlife Preserve, the hermitage Nagi Gompa — an affiliated nunnery of Ka-Nying Shedrub Ling Monastery — resounds everyday with rhythmic devotional chants accompanied by the music of drums, cymbals, and horns. 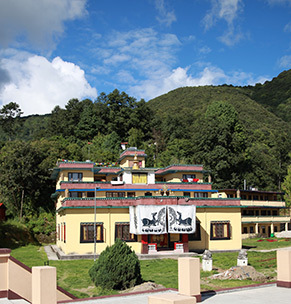 Nagi Gompa is place of intensive study, practice, and retreat for a growing community of nuns, who have dedicated their lives to transforming their own minds and serving others. 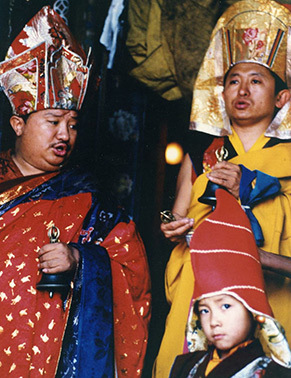 Nagi Gompa was originally a small community of monks and nuns under Karsha Rinpoche. 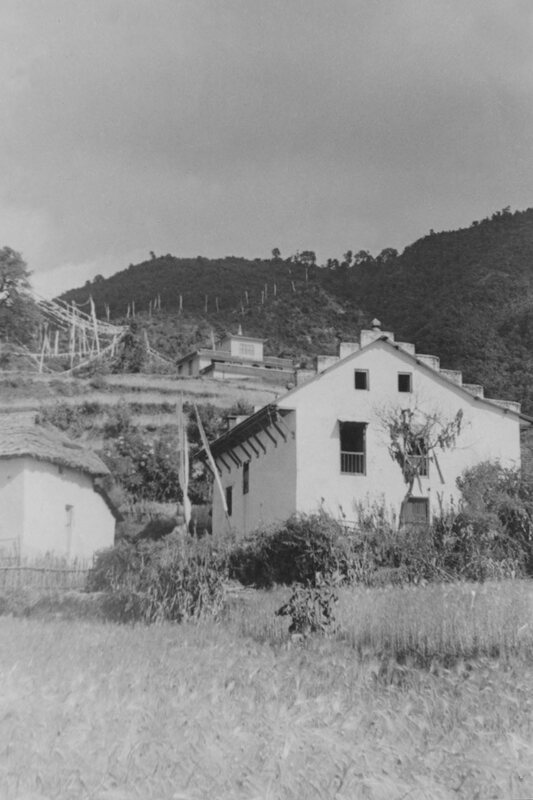 In order to feed themselves, this community worked the land, when not in puja or retreat. 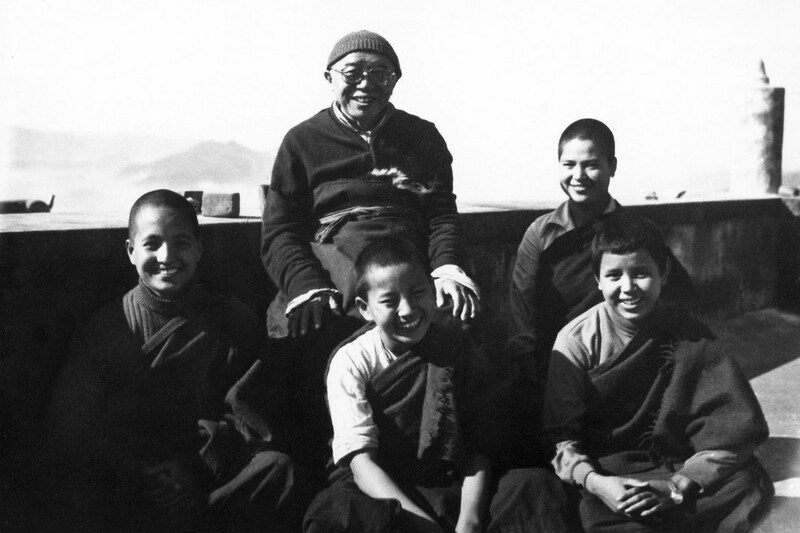 It was in these early days that three-year retreats at Nagi also began. 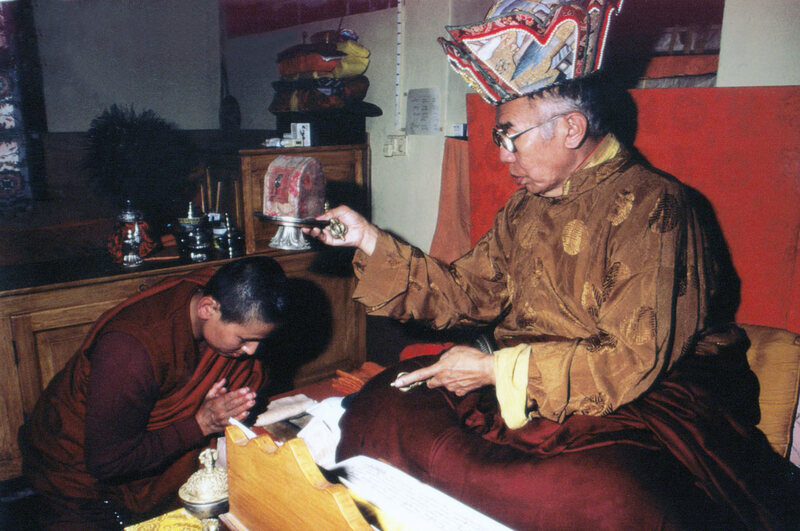 Toward the end of his life, Karsha Rinpoche offered Nagi to His Holiness the 16th Gyalwa Karmapa, asking his help to ensure Nagi Gompa would continue under the guidance of an excellent lama. 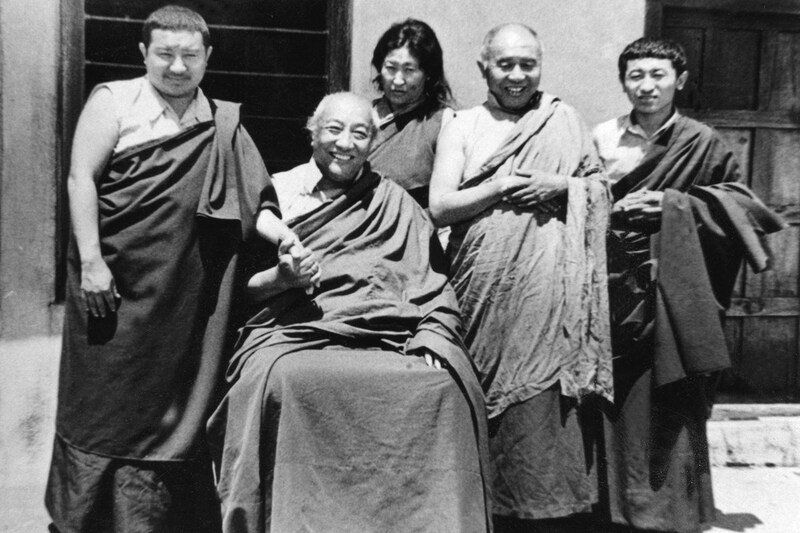 To fulfill this request, in 1962, when the 16th Karmapa consecrated Nagi Gompa, he installed Dzogchen master Kyabje Tulku Urgyen Rinpoche as its abbot. 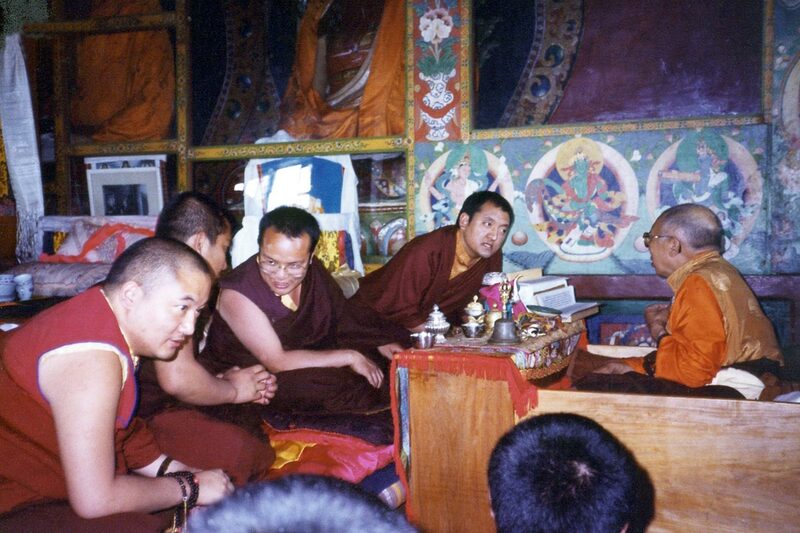 Until his parinirvana in 1996, Kyabje Tulku Urgyen spent more than 30 years in retreat at Nagi Gompa. 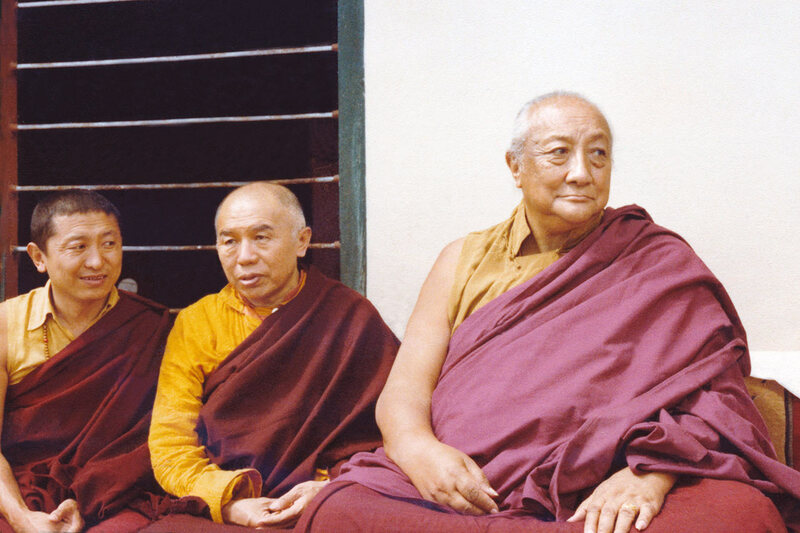 With profound clarity and conviction, Kyabje Tulku Urgyen Rinpoche recognized the inherent equality of men and women and their innate potential for awakening to their own enlightened nature. 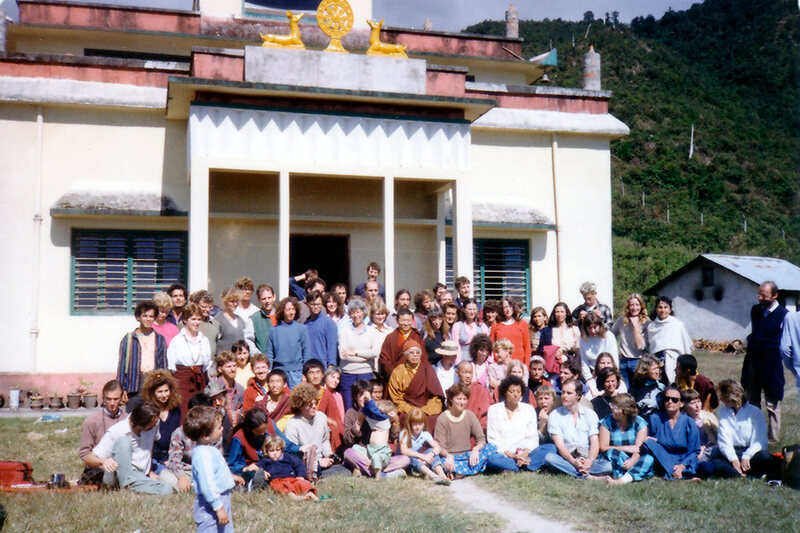 Therefore, Nagi Gompa has long endeavored to provide inspired women with a full range of liturgical training and religious education in a cloistered environment. 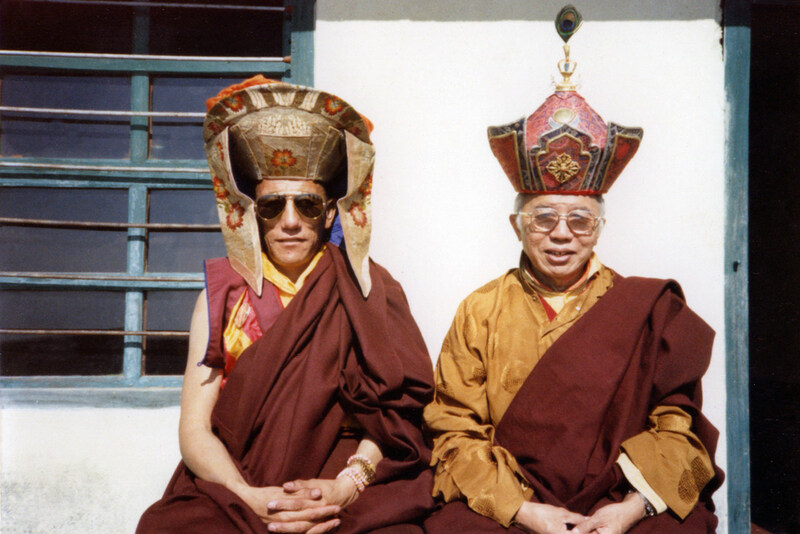 Many women of high spiritual caliber unfolded their spiritual wings under Kyabje Tulku Urgyen Rinpoche’s guidance and, later on, under the supervision of his descendants: Chokyi Nyima Rinpoche, Chokling Rinpoche, and Phakchok Rinpoche. More than 100 nuns, ranging in age from 9 to 90, occupy clusters of simple quarters at Nagi Gompa. 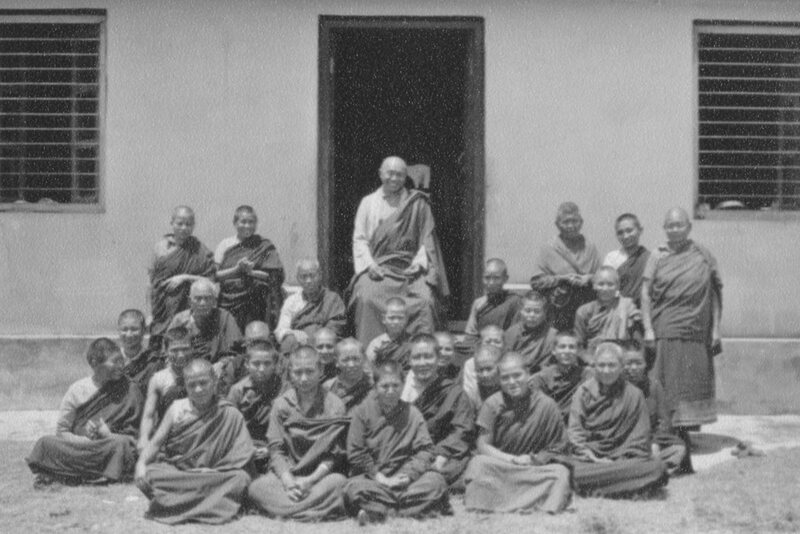 To perpetuate the Buddhist teachings, Kyabje Tulku Urgyen placed a strong emphasis on combining meditation practice and scriptural study. 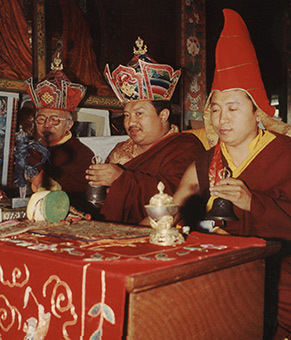 Therefore, after completing their daily sacramental rituals and meditation practices in both the Kagyu and Nyingma traditions, the nuns at Nagi Gompa methodically engage in a guided study of the classic Buddhist scriptures. 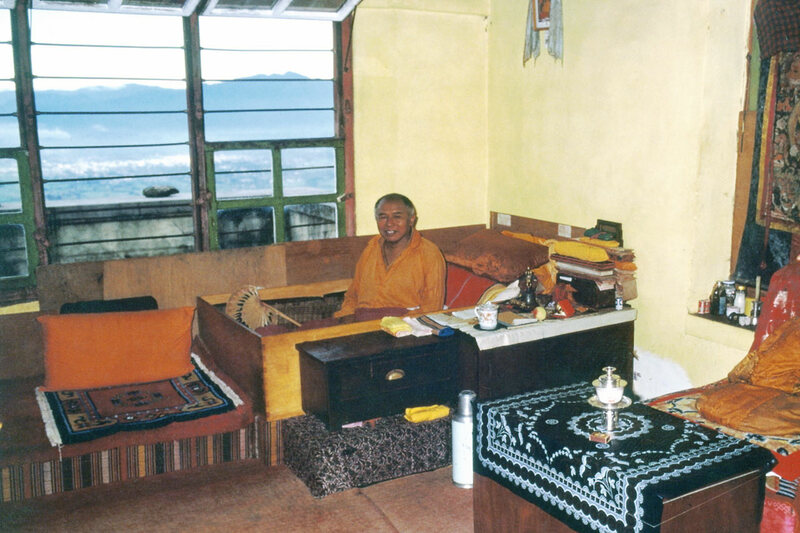 For women with an inclination toward intensive practice, isolated dwellings are provided to facilitate traditional three-year meditative retreat. In recent years, more than 40 nuns residing at Nagi Gompa have successfully completed their three-year retreat; some have made this retreat more than once. 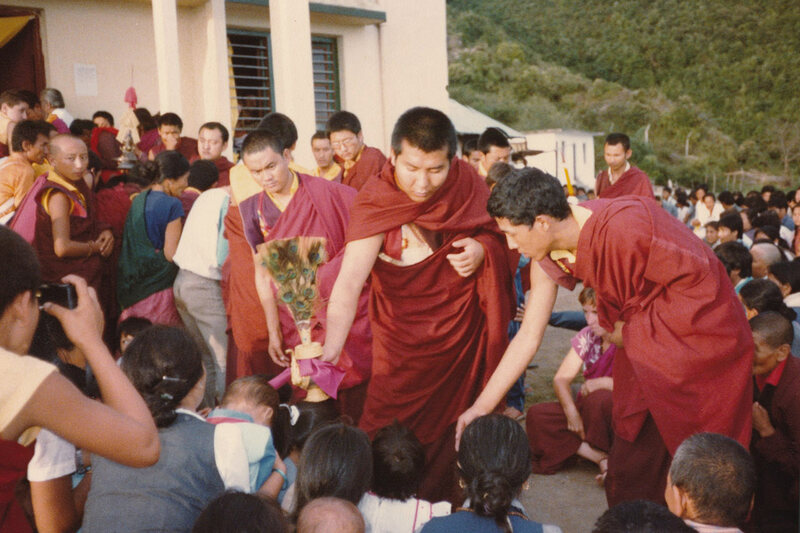 Experienced nuns specialize in the esoteric vajrayana practice known as ‘chöd’ which, in Tibetan, means “severing”. What is being severed? 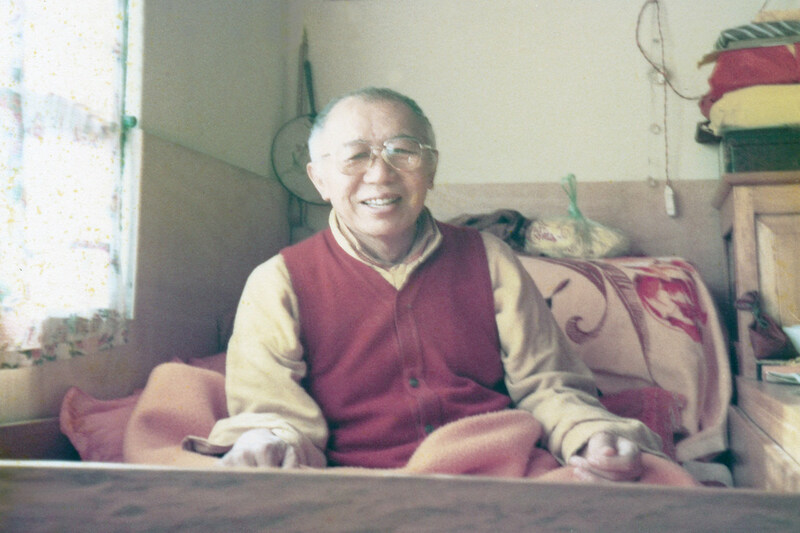 Utilizing the special techniques of chöd, the practitioner cuts through his or her personal demons — neurotic self-cherishing and its accompanying painful negative emotions. Chöd has a threefold purpose — to transform harmful mental states, such as fear and hatred, into states of courage and selfless love, to actualize the perfection of wisdom extolled by the Buddha in the Sutras and, ultimately, to engender realization of the practitioner’s own intrinsic buddha-nature. 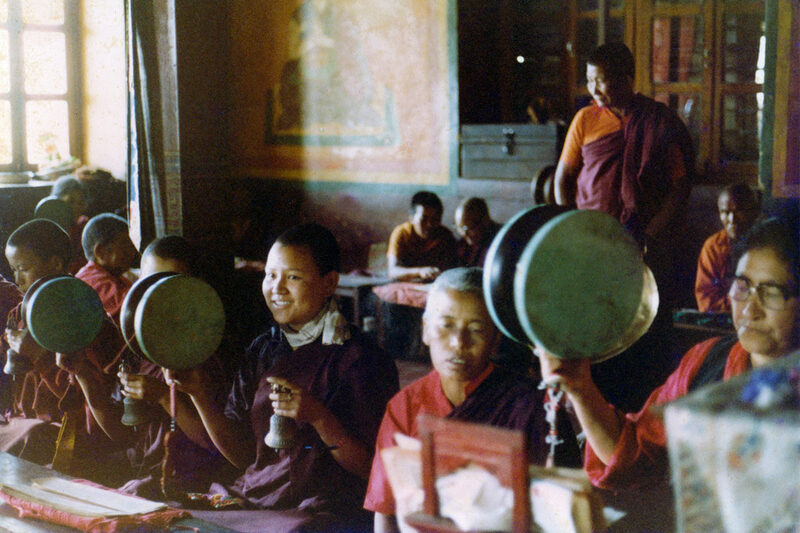 Based on such unique advantages, more and more dedicated Tibetan and Nepalese women arrive each year seeking a vocation at Nagi Gompa. 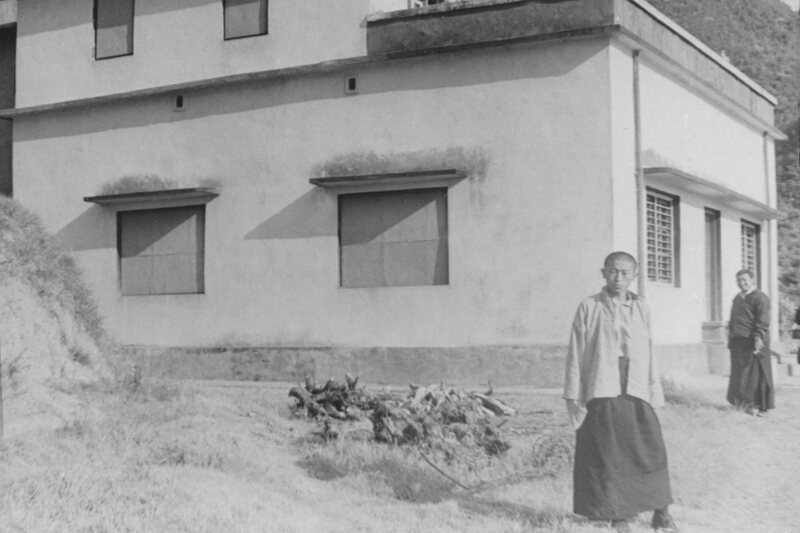 As the welfare and education of these women is of primary concern, each year an attempt is made to upgrade the nuns’ general living standards and now there is a complete program of education in place, including elementary and secondary levels and a nine-year monastic college. Present facilities are constantly undergoing expansion and renovation to accommodate the flourishing community. 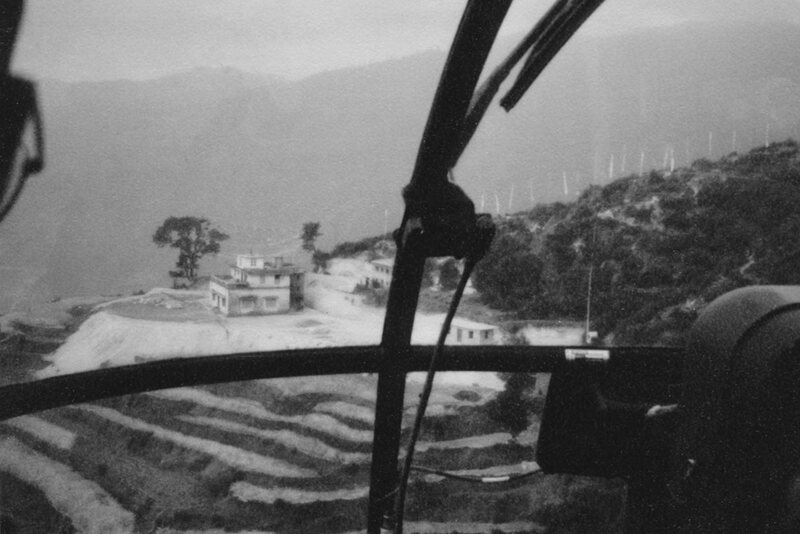 The earthquake of 2015 did significant damage to Nagi Gompa. Reconstruction is underway and the current focus is on completing construction of a new three-year retreat center.